I am of the opinion that a restaurant (especially a nice one) should always have at least one chocolate dessert on the menu. It seems ridiculous not to include chocolate on a dessert menu. And belive me, there are restaurants that don't. It's something I notice. And there was a time that I would always order something chocolate when I got dessert. While that is still mostly true, over the years I have broadened my horizons a bit and actually have some favorite desserts that don't include a drop of chocolate. That's saying a lot for me. The first winner is Key Lime Pie. The creamy, tangy goodness is just perfect and I love it. Secondly, there is Cheesecake. Plain or with something else non-chocolate (Pumpkin Swirl Cheesecake)...it's all good. Creamy and wonderful. Then there's this dessert...Pumpkin Crumble. This is not one you will find at a restaurant and the first time I had it, I demanded the recipe from my friend Dara right then and there. The hot and spicy pumpkin layer on the bottom goes perfectly with the buttery cake crumbles on top and is even better with cool whipped cream to top it all off. Man, this is a good one. There are also some Ice Cream flavors that are out of this world and contain no chocolate. For example, the Mediterranean Sea Salt Caramel Gelato that I had the other day was phenomenal. And finally, while these are not exactly desserts by definition, cake doughnuts and cinnamon rolls are pretty good too. You won't see me turning them down. 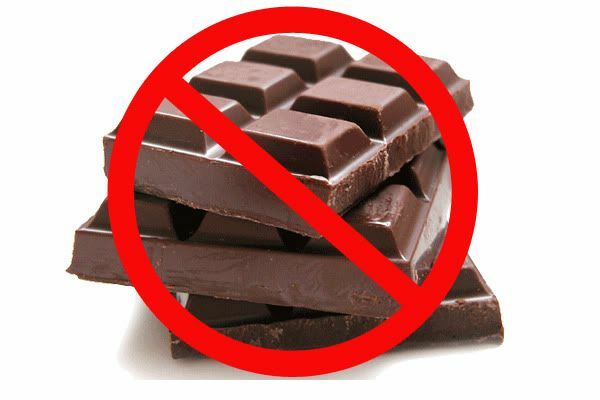 I was hoping this wasn't going to be a post saying you deciced to cut out chocolate from your diet! Glad it wasn't! Plus, you know I am on that Key Lime Pie bandwagon too! I am like you! I almost always order a chocolate dessert. I also second the key lime pie. The Pumpkin Crumble sounds amazing. I am also a big fan of apple crisps/crumbles, but I know certain people don't like hot fruit in their desserts. I think I love apple desserts because, growing up, my grandma made the BEST apple pie. I guess I'm always searching for something similar, but nothing can top pies. Also, in case I didn't post on your previous blog... Welcome Logan! Such a sweetie. I love his little newborn self. Already Caleb looks enormous to me! I'm glad he got here safe and sound and that you're feeling good! Also, sometimes I might choose buttermilk pie...Truthfully, the only dessert/sweet I don't really like is one with hot fruit, like cobbler.